Title page (from one of the 70 tall Japan Vellum copies). 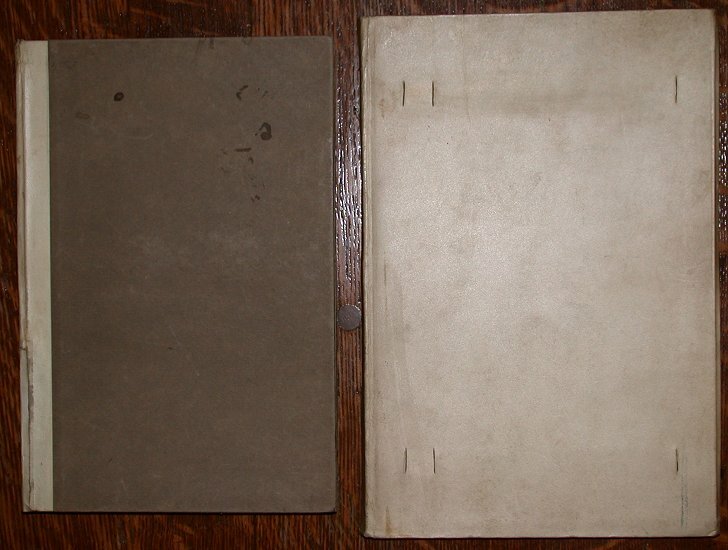 On the left is one of the standard (edition of 485) copies. On the right is one of the tall paper copies printed on Japan Vellum. Unfortunately, the ties are missing. 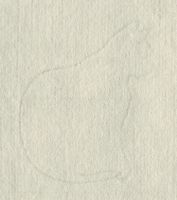 Colophon from a tall Japan Vellum copy. The decorations in this book consist of initial letters and floral devices as shown on the page above. 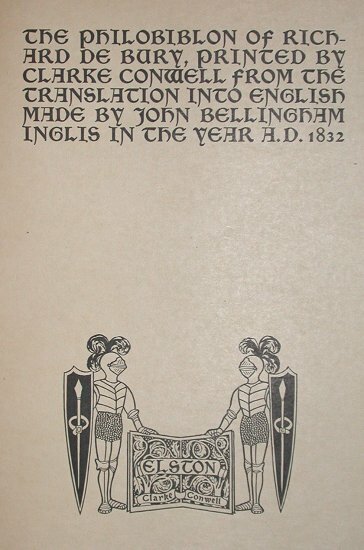 There is also a decorative printers device on the title page. Although it uses the same type font as Sonnets (although in a slightly smaller size), this book is much simpler in design and has a much more gothic feel. 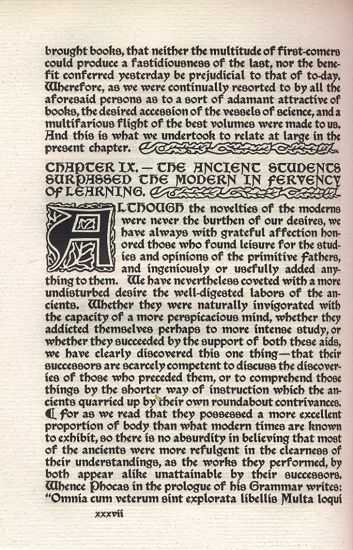 This is a treatise on book collecting written in 1345. .